Another day, another vegan breakfast! 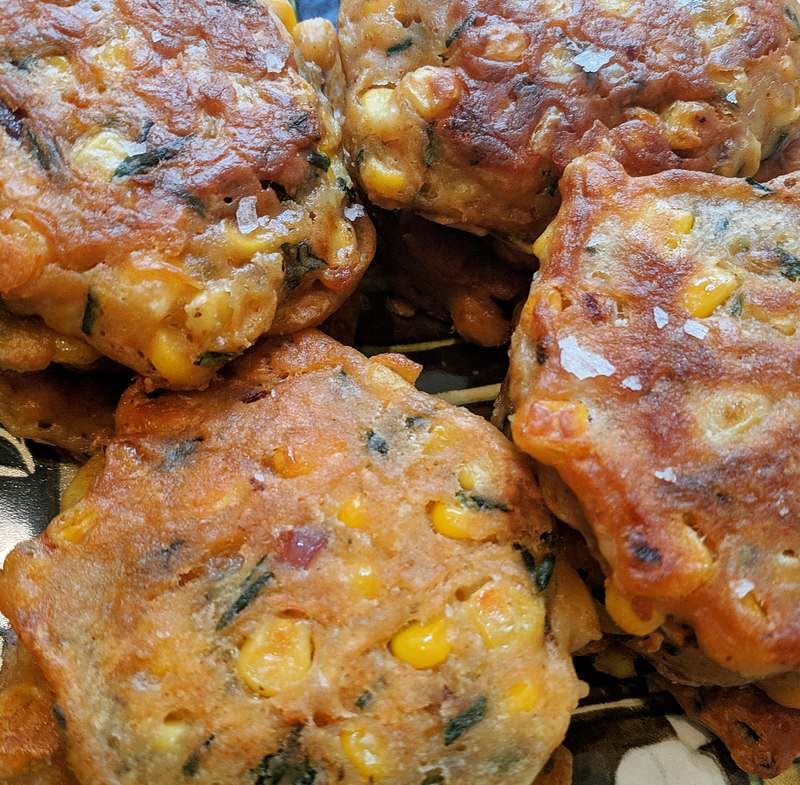 Corn fritters used to be my go-to order at breakfast cafes, but it's tricky finding a place that does them without eggs, and many even have added cheese and sour cream to this crunchy delight. As regular readers know, I've recently committed to creating a vegan breakfast menu, with versions of my favourite non-vegan snacks that taste as good as the real thing (maybe even better, but let's not brag). Serve these with a tangy relish, vegan sour cream or heap of smashed avocado! In a medium sized bowl, combine milk and vinegar and set aside. In a large bowl, combine corn, flour, onion, chives, mustard, garlic, paprika, cumin and seasoning and mix well. Slowly pour in milk and mix until just combined. Set aside. Heat oil in a large frying pan over a low to medium heat. It's up to you how much oil, just be aware that the more oil you use, the less healthy but more crispy (and delicious) your fritters will be. After 30 seconds, use a half sized measuring cup to scoop up the batter and place it into the pan. You can use a spoon to flatten the batter into your preferred size. Repeat the process until you have no batter left or your pan is full, flipping only when the under side of each one is brown and crispy. Add more oil as needed and make sure the temperate doesn't get too hot, otherwise you'll have raw and burnt fritters! Add salt as you cook if desired, and serve warm with smashed avocado or vegan sour cream.